Tonight marks the official start of the 2017 - 2018 college hockey season for the UMD Bulldogs. The Bulldogs come in with a lot of holes and unknowns after losing nearly half of the team to graduation or early departures from last year. As the NCAA runner-up the expectations are high, but it could be an up and down season. #3 Minnesota Twin Cities @ #6 Minnesota Duluth (Ice-breaker tournament Friday game): How will the Bulldogs' goalie and defensive group play this season is the questions that needs to be answered. Too many unknowns for me to pick them to win. 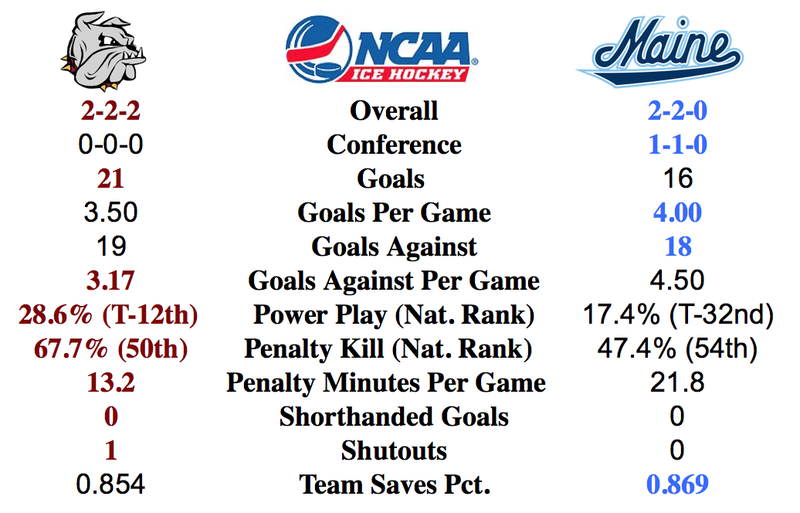 The Gophers look to be strong and will get the win at AMSOIL. Colorado College @ #RV Vermont: The Tigers are hoping this is the season that they find something, which I think they might. The Catamonts are also coming off a poor season as well. I will pick a split. #RV Ferris State vs. #20 Western Michigan (home/home): I think the Broncos may be overrated in the preseason polls and with this being a home and home series for these two in-state rivals I am picking a split. #11 Providence @ #RV Miami: The Friars should be a good team again this year. Miami is still looking to improve with a young team. The home cooking will help the Redhawks earn a split. #9 St. 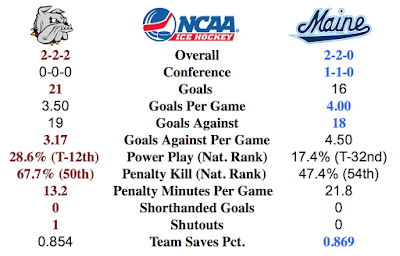 Cloud State @ #18 Minnesota State Mankato (1 game): Both teams are projected to strong teams. Not much to go on here other than a hunch so, I am pick the Huskies with the win. #7 North Dakota @ Alaska Anchorage: The Fighting Hawks have much more talents than the Seawolves so unless their body clocks get thrown off they should not have a problem coming out on top. Fighting Hawks sweep.